Look out, citizens: A new study claims the whole fat-but-fit concept — the idea that an obese person with the correct metabolic markers for blood pressure or blood sugar is still healthy — is about as real as Bigfoot. University of Birmingham researchers looked at the medical records of 3.5 million people in the United Kingdom, and found that those who were obese at the start of the study (defined as having a body mass index over 30) and had no signs of heart disease or high cholesterol still had double the risk of heart disease of those were not obese, The Telegraph reported. But before we hang up our running shoes for good, let’s try to parse what’s going on here. For starters, the study isn’t published yet—it was just discussed at the European Congress on Obesity. Second, this idea is not new, and medicine people and science people and fitness people and regular people have been debating this very issue for ages — if you’re fat but you can run a marathon, are you fit? If you’re thin but you can’t get up a flight of stairs, are you healthy? What if you’re fat but you don’t smoke? What if you’re thin but you do? Weight is not the only indicator of health, but the debate about the degree to which it hampers fitness is still unclear. A 2012 study found, for instance, that obese people who are metabolically fit do not have a greater risk of heart disease or cancer than people who are in the normal weight range. But a 2015 study found that they did have a greater risk. If this sounds confusing for lay people trying to figure out just how much they are willing to move around every day to stave off death, it’s because it is. 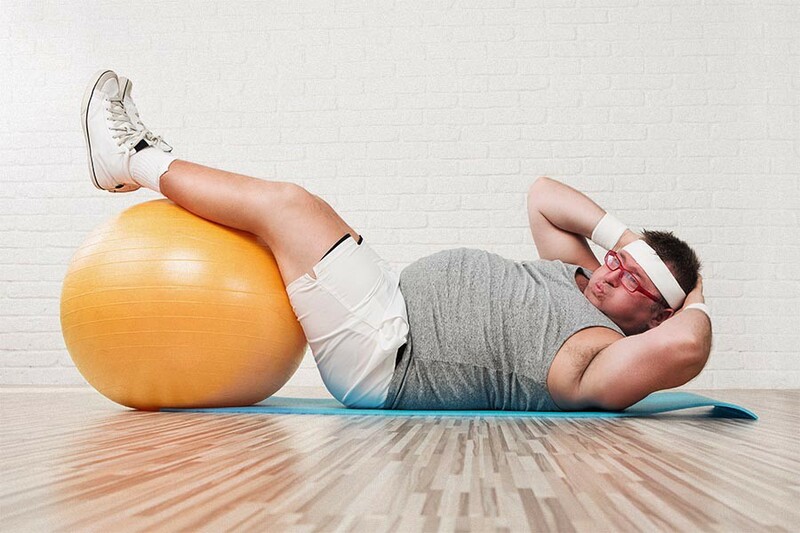 Another study found that even for people who are obese, exercise still prolongs life and offer health benefits — even if you do half as much exercise as you’re supposed to. Previously we used to think that being overweight led to an increase in heart attacks and stroke because it raised your blood pressure or cholesterol. What was new from this study for me is that it showed that people who were overweight or obese were at increased risk of heart disease even though they may have been healthy in every other respect. Just being overweight puts you at increased risk of heart attack and stroke. Over the course of 10 years and thousands of training sessions working specifically with obese clients, I can say this: I have witnessed incredible feats in fitness by obese clients. I have trained both healthy obese clients with sound athletic disposition and immobile clients who couldn’t stand on two feet who were not metabolically healthy. Over time, I had them running up hills, boxing, lifting weights and making fitness a sustainable part of their life. During this time, their risks of disease greatly decreased without significant weight loss. Medications were lowered, cardiovascular health, physical mobility and quality of life were greatly improved. You can be fit because you exercise and are slim, which is then slightly ruined because you drink a lot, which may be slightly improved because you have a lot of omega 3 oils, which then may be reduced by a bad family history, and on and on. Fitness has so many factors playing into, you are not simply fit or not. It is really impossible to define. Is a slim person who does no exercise fitter than an overweight person who does? No one can say because real life studies can never be done taking in all the real-life factors that make up all of our risks of disease. Some people will not be able to lose weight despite a good dose of exercise and healthy food. Exercise is definitively so good for people and such a protective factor, there is no way such people can be labelled “unfit” by this unilateral measurement. So maybe, then, we should be putting this a different way: None of us knows how we’re going out; regardless, moving is better than not moving. Tom Holland, an exercise physiologist and certified nutritionist, and author of numerous books on exercise and nutrition, tells MEL that the other big issue with how such research is framed is that these conversations do nothing to help the average person get their head around how to measure our own health or set fitness goals, which is the whole point. Holland notes that researchers in these studies are looking at metabolic health, which is different from the physical fitness most of us think of — ability to get up and move around without getting winded immediately.